In attempt to make Turkey one of the world's top 10 economies, the construction and development process continues in the homeland of history and civilization. 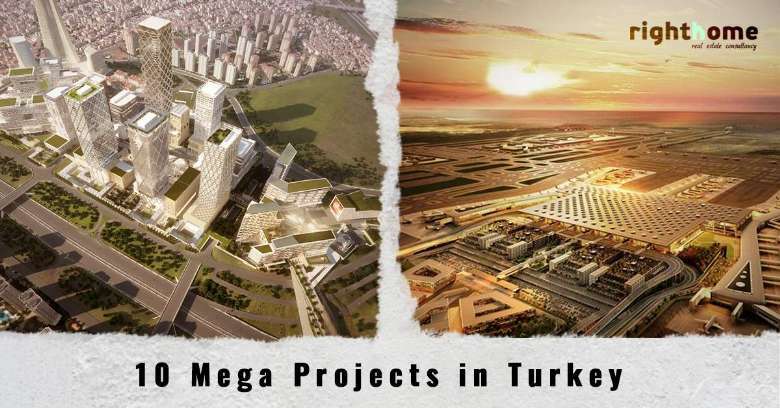 Hereafter, we demonstrates in some depth top ten mega-projects among many future projects in Turkey. In June 2014, Turkish President Recep Tayyip Erdoğan laid the cornerstone for the world's largest airport in a move to support Turkish trends in development, raise investment rates, improve tourism and boost Turkey's economy. The construction of Istanbul's new airport is Turkey's strategic vision for the year 2023. The airport - the first phase of which was opened in late October 2018 - is located in the European section of the city of Istanbul in “Arnaout Koy” area near the Black Sea, within the territory of forests owned by the Turkish state, on an area of ​​7659 hectares. As a result of its expansion on a huge area, the airport will have 6 landing and takeoff runways, as many as 165 bridges to accommodate passengers and a railway to connect all terminals. It will also include a preview of 500 aircraft at the same time. The head of the Turkish Airlines, Elkar Ayeji, calls it the "Big New Nest." It will include three electronic and technical surveillance towers, eight control towers, and parking accommodating 70 thousand cars. Istanbul's third airport is likely to become the biggest airport in Europe and the world, with expectations that it will give the Turkish economy a chance to achieve a qualitative leap. The airport's share of the country's GDP is expected to reach 4.9% by 2025, which will contribute an additional $ 79 billion to the country's GDP and provide more than 100,000 jobs a year after its opening in late October 2018, 225 thousand jobs by 2025. The airport will cost about $ 10.6 billion and will be implemented in cooperation between the public and private sectors. The airport is expected to generate revenues of approximately $ 23 billion in 25 years. Once completed, the airport will become a "hub" in the world, where aircraft will land before completing its journey anywhere in the world. The airport is expected to contribute to Turkey's economic development, support global trade and become the hub of the world's trade movement. Many people have questioned the fact that the project threatens the environment as a result of its establishment in a forest area which considered the lung of Istanbul. However, the Executive Director of the airport, Yousuf Oglu, stressed that the project was established according to the criteria and standards based on environmental extreme care, and pointed out that the Director of Environment is the first to be appointed in the airport. The airport has a bird-watching radar, the first in the world to contain such radar, employs six bird specialists to minimize the potential impact of birds on air traffic, and to manage air traffic with the highest degree of efficiency. When completed, the airport will undoubtedly, play an important role in achieving Turkey's economic goals of reaching the top 10 economies in the world by 2023. It is a project designed to facilitate traffic in Istanbul. It aims to link the Asian part of the city with European, and to relieve pressure on the three bridges linking the two sides of the city. The connection will be carried out through a tunnel running under the Bosporus. The project is a single cylinder comprising three levels of lanes, two of which are for vehicles, the other for trains and metro, with a length of 6.5 km, and the total cost of the project is 35 billion dollars. The Turkish government is seeking to complete the 31-km project, consisting of 14 positions, over a period of five years. The distance time between Ingerli area and the Sogutlokshmeh area in Istanbul will be reduced to 40 minutes. Underwater drilling is ongoing for the "Engineering and Tunnel Project of Istanbul". The first phase will be completed by the end of this year and construction work will begin immediately. The tunnel project, which will bring together the Marmarai and Eurasia tunnels, will bring greater convenience and ease to the people who have experienced the ease of the railway system with Marmara and are happy to move under the seabed through the Eurasia Tunnel for a period of no more than five minutes between the two continents. As a result of the technical work carried out in the direction of people's demands. It is clear that the railway system, which will reach the bottom ground of Ingresheri and pass under the sea from Mestico and Zeniclcio, will be connected to the metro line Kedikwe-Kartal and Marmaray from Sogutlokshmeh. The tunnel, which will also pass underground from Hasdal on the European side, will be connected to the tunnel in the same way. It will exit from Jamelik connected to the TEM on the Anatolian side. Some 6.5 million people are expected to use the tunnel, either by car, or through the railway line which will be crossed by the metro train. 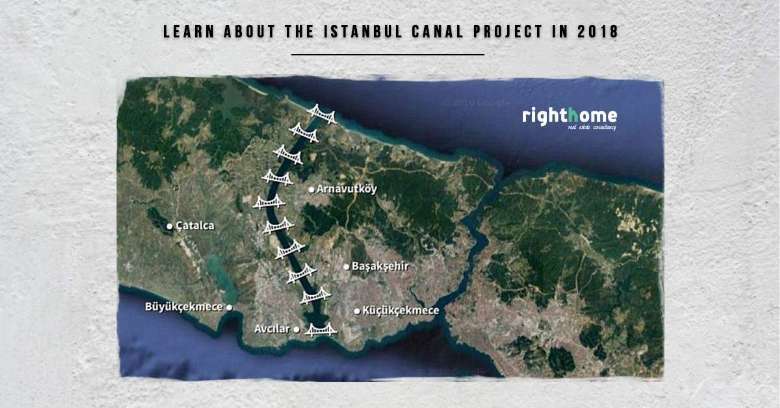 First of All, " Project’s Challenges"
Turkey continues its historic projects, including the artificial waterway at the sea level, and the Istanbul Canal, which will be parallel to the Bosporus and the Black Sea will reach the Marmara Sea. This is a strategic project, and President Recep Tayyip Erdogan said: that one of those who do not understand the Istanbul Canal project does not understand Istanbul or Turkey. Similarly, Prime Minister Binali Yildirim recently stressed: that the Istanbul Canal project is indeed a "strategic project" rather than an "entertainment project". In fact, the project is strategic, because it will not only provide relief to the navigation traffic in the Bosporus Strait but also provides safe passage for ships. In 2011, Erdogan presented the project as a "Crazy Project," which was included in the country's goals of 2023. The Istanbul Canal project will be the largest project in the city, Erdogan said in April 2018. In the same speech announced that the construction of the mega project will begin in the period his new post-election mandate. Referring to the project as a "Global Brand" in many of his speeches, Erdogan referred to the incident in April when a Bosporus strait ship crashed and crashed into a historic palace in Istanbul, causing extensive damage. "If we do not want to see other disasters in tankers in the Bosporus, I remind you once again why the Istanbul Canal should be built," Erdogan said earlier. Turkish Transport and Transport Minister Ahmed Arslan earlier announced that Istanbul is one of the country's largest projects after the third airport project, but Istanbul will be the largest in term ofvalue. Arslan also said: the government expects to generate revenues of about $ 8 billion a year from Istanbul. Is an artificial canal reaching the Black Sea and Marmara Sea. Described by the Turks as "the project of the age" and "the largest work to be done in the history of the Republic of Turkey." After evaluating all geological studies and seismic hazards in cooperation with Turkish universities and international experts, the channel's optimal alternative rout was identified. It passes through the areas of Kajak Shakmja, Sazli Derah and Durusu. This project is the largest in the history of Turkey. The project was established as the alternative for the Bosporus Strait, which became crowded with ships. The excavation of the canal's soil will be used to create an artificial islands in the Marmara Sea, which will include recreational and entertaing areas. The cost of the project is estimated US $ 16 billion. The canal is 45 to 50 km long, 25 m deep and 400 m wide. The project is expected to open in 2020. The canal project, which will strengthen Turkey's position in the water crossings, links the Marmara Sea to the Black Sea in the European part of Istanbul and is sold to the Aegean and the Mediterranean Sea. The main objective of the project is to divert the movement of ships from the Bosporus to the industrial channel to reduce navigational traffic in the Bosporus Strait, which has become very congested by the passage of different types of ships and as a result the relaxation of the historic city and its inhabitants. On the other hand, it seeks to minimize the damages caused by vessels transporting hazardous materials, as well as the future plan of the State, to remove the indiscriminate buildings on both sides of the Bosporus Strait. The new waterway will bypass the current Bosporus Strait. The aim of the new channel is to reduce the shipping traffic in the Strait of Istanbul and reduce environmental risks, especially the passage of oil tankers in the Bosporus Strait, which threatens the marine wealth of the Straits and the surrounding environment. In general, there are 56,000 vessels passing through the Istanbul Straits annually, including 10,000 tankers carrying 145 million tons Of crude oil. International pressure is increasing, leading to an increase in sea cargo and maritime traffic through Turkish straits that bring risks to maritime security as they pass. It is worth mentioning here that the fundamental objective that cannot be ignored is the anniversary of the establishment of the Turkish state and the conclusion of the Treaty of Lausanne, which prevents the Turkish government from collecting taxes on the passage of ships from the Bosporus. The geotechnical excavations started last year 2017 and ended in early 2018. Due to the importance and vitality of the project. In order for the project to take its practical dimension in term of technical studies to cover wide aspects to come up with integrated and ideal studies, the Ministry of Transport and Maritime Navigation has cooperated with a large number of Related institutions, most notably the Ministries of the Environment, Forestry and Water, Food, Agriculture and Livestock, and Energy and Natural Resources. As well as the Istanbul Municipality and the Turkish Prime Minister's Housing Department. During the channel's appointment, the Ministry of Transport also used a large number of Turkish and international experts during the preparation of the preliminary plans of the project and the effect of discharging the seismic studies of the project track, it was found that the channel will not be exposed to any negative effects of the possibility of the seismic sea tide “Tusunmi”. The windfall statistics for the past 25 years were taken into account during the preparation of the plan to take account of the worst possibilities in the coming years. The effects of storm disturbances and deep sea waves in the Black Sea and Marmara were also studied. In addition, the two banks of the canal were designed so as not to be affected by the waves caused by passage of the giant ships in the corridor. It is certain that the construction of the Istanbul Canal will be carried out by means of construction, special techniques and sophisticated, self-sufficient cadres and expertise, with the partial use of foreign expertise, to provide the element of perfection to the project. A new bridge on the “Janaq Kale”, which separates the Aegean Sea and Marmara in western Turkey, is being worked out in the outline of large projects that will come into effect in the medium term to solve traffic problems and reduce the passage of heavy vehicles from the entry to Istanbul, and therefore will be built a new bridge on the Straits of the fortress to alleviate this problem. The project seeks to prevent the passage of heavy vehicles destined for Turkey and Europe in Istanbul, as well as enabling passengers traveling from the Aegean Sea and the Central Anatolia region to Turkey and Europe to reach their destination through the border gates of the Jeznakala, Tekirdag, Adrana and Kabikulah without entering Istanbul. The bridge consists of three directions in addition to the railway line. It has a total length of 3623 m and it is of total cost of 2 billion US dollars. The bridge, which was planned to be built on Janaq Kale, seeks to enable the whole Marmara region to be a circular route with highways, which will greatly ease traffic in Istanbul. " The third bridge being built on the Bosporus will not solve traffic problems completely, but it will somewhat limit it, and will have a significant impact with the entry of Eurasia tunnel service. Since the beginning of 2002, Turkey has launched large-scale rehabilitation projects in cities, residential areas and commercial communities characterized by its randomness. Many of these projects have been implemented in various parts of Turkey. These projects have contributed to raising the standard of living and quality of citizens, as they are safe projects in term of facing natural disasters from earthquakes and others. The development of Fikr Tebih is one of the most important real estate investment projects in Turkey, in essence transforming one of Istanbul's most important neighborhoods into an upscale neighborhood. Its purpose is to transform the popular Fikr Tebih region, located in one of the most important geographies in Istanbul, and adjacent to the famous Baghdad Street, into an elegant neighborhood that is comparable to the largest urban neighborhoods not only in Istanbul but also in Turkey. It is a new step that will add a different concept to the urban style of urban rehabilitation projects. The total project covers an area of ​​350,000 km2 and aims to build 35,000 apartments, 2,500 shops and a large number of shops to become one of the most important attractions in Istanbul. The area is characterized by direct views of the sea, and close to the metro station "Qazi Koi, Kartal" and Metro "Marmara" link between the European and Asian sections, as well as close to many of the universities known, as well as other points of the project of the Fikr Tebih that is adjacent to the highway E5 Which provides various advantages in terms of facilitating transportation and transport services to the region. Fikr Tebih's vision for the project is that it will be one of the projects with high quality construction, aesthetically pleasing, and resists natural disasters. Major projects include: Alia Life, Brooklyn City, Brooklyn Life, Brooklyn Dream, Istanbul Inns, Brooklyn Park, Concord Dream, Evin Park, Goose Tepe and many more. The foundation stone for this project was laid in 2017 and is expected to be completed in 2020. 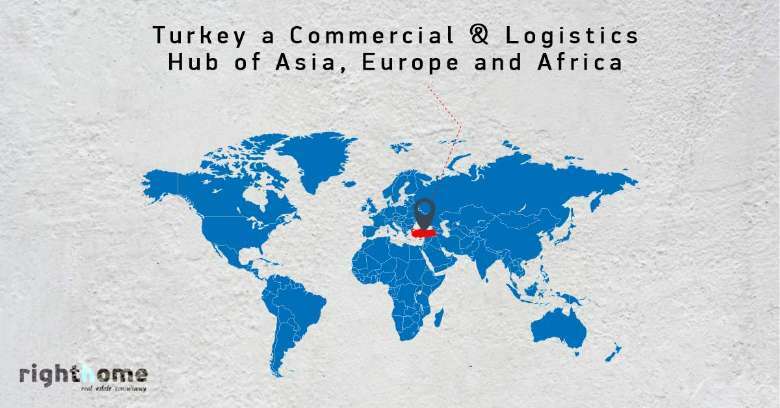 The “GAP” project, the Southeast Anatolia Project (known as GAP abbreviated by the Turkish designation), is a multi-sectoral, integrated regional development project based on the concept of sustainable development. Its primary objective is to eliminate regional development disparities by raising individual incomes and living standards; contributing to national development goals such as social stability and economic growth through enhanced productive capacity and employment generation in the rural sector. The project covers 75,000 km2 and covers 9 provinces in the Euphrates, Tigris and Mesopotamian Plains (Adiyaman, Batman, Diyarbakir, Gaziantep, Kielce, Mardin, Sirt, Sanliurfa and Sirnak). The GAP represents about 10% of Turkey's total population and geographical areas. About 20% of the total irrigated land in the country is located in this region and the region accounts for 28% of Turkey's total hydraulic potential. The original initiative consisted of irrigation and hydropower projects on the Euphrates and Tigris rivers. During the 1980s, the project was transformed into a multi-sectoral regional development program of a social and economic nature. This program covers sectors such as irrigation, hydropower production, agriculture, urban and rural infrastructure, forestry, education and health. Its Water Resources Program envisages the construction of 22 dams, 19 power plants and irrigation schemes in an area of ​​1.7 million hectares. The total cost of the project is $ 32 billion. As of 2015, the total capacity of the power plants reached 7490 megawatts, while the final output target for the GAP plants was 27 billion kWh, which is equivalent to about $ 1.3 billion. The project is based on the concept of sustainable development, which aims to create an environment, in which, future generations can fully develop themselves, gain the benefits of equitable development, and participate in environmental protection, employment generation, spatial planning and infrastructure development that form the basic strategies for good agricultural practices. The central part of the project is 844 million cubic meters of rock and the Ataturk-filled landfill, the third largest project of its kind in the world. 19 hydropower plants operating at the end of 2015 and 22 other dams. Other dams and power plants are now in various stages of construction or planning in the southeast region. This huge investment is followed by state private sector investment to link this forgotten part of the country to the national economy in the past. In 1997, irrigation began in the fields of Harran, and farmers are now harvesting their crops, especially high quality Turkish cotton, which is the second best cotton in the world after Egyptian cotton. After completion of these projects, 1.8 million hectares of land will be irrigated effectively. The basic development scenario envisioned by the master plan is to transform the region into an "agricultural-based export center", which will certainly change the living standard of the region in a positive direction. It has also improved living standards for people in the region. So far there are highways and double-track roads; there are six main airports in Sanliurfa, Diyarbakir, Mardin, Batman, Gaziantep and Sirnak. The Trans-Anatolian Natural Gas Pipeline (TNAP) project, which will transport Azerbaijani gas to Turkey, is set to begin operation on June 30 after the project is completed by 93.5 percent, while the rest of the lines are still on track. "The Tanab project is the most important part of the Southern Gas Corridor project, which is a joint project between the two countries, The European Commission to transfer gas from the Shah Deniz field in Azerbaijan across the Caspian Sea to European markets to reduce the dependence of the continent on Russian gas. With the completion of the final phase of the "Southern Gas Corridor" project, the completion of the Adriatic gas pipeline project "TAP" has become guaranteed. The first part of the Tanab project has been completed almost completely, and the first phase, which will connect the pipeline to the European, was completed by 80.7%. The commercial gas transfer operation was also launched on June 30. As part of the testing process, the first pressure operation was carried out on January 30, so part of the gas pipeline that runs to Eskisehir is now filled with gas. During the most effective construction period, the Tanab project has provided employment for 13,000 people, 7,000 of whom are still engaged in construction work. The construction of the Tanab gas transmission project also led to some interesting discoveries. Nine new insect species, one new plant species and 154 archaeological sites were discovered during construction. Tanab's initial cost was estimated at $ 11.7 billion, but some successful procurement, project management and financial management reduced the cost to $ 7.99 billion. Project partners received $ 3.75 billion in loans from international finance companies. On the other hand, the EU provided $ 10.2 million . The pipes used in the project were secured by 6 Turkish companies. About 80% of the pipes used in the project were purchased from Turkish companies while only 20% were imported from China. The Tanab project does not include any underground storage facilities and can only store entry and exit points. The Tanab gas pipeline project, will increase Turkey's strategic importance in the region by opening an energy corridor to meet the needs of European and Middle Eastern markets. Tanab is one of the most tangible projects to be achieved in order to ensure the security of energy supplies in Turkey and its ability to meet the growing demand for energy continuously in the future. Over time, other potential suppliers in Central Asia, the Middle East and the Eastern Mediterranean will be able to access the market through this new portal. In addition, the project has provided jobs for more than 15,000 people directly or indirectly involved in construction, pipe support and manufacturing services as well as a range of other related sectors. The pilot operation of the Tanab natural gas pipeline began on 1 January and continued until the end of June 2018, so that the gas would flow to Turkey for direct commercial purposes. Tanab is scheduled to transport around 16 billion cubic meters of Azeri gas (10 billion cubic meters to Europe and 6 billion cubic meters to Turkey). The share of the Tanab project partners is between the South Azeri gas corridor by 58 percent and the British Petroleum by 12 percent, while Turkey's Butash share is 30 percent. Tanab's general manager explained that the pipeline would initially provide 2 billion cubic meters of natural gas, before gradually reaching 6 billion cubic meters by the end of June 2021. Nuclear powers will play a key role in Turkey's energy strategy in the future as the country moves towards energy security, while also addressing the challenge of reducing emissions that contribute to climate change. Although demand for electricity in Turkey's fast growing economy, is growing annually by more than 5%, the country is still dependent on hydroelectric resources to meet 73% of its current energy needs. Turkey's new nuclear power program aims to provide at least 10 % of the country's energy needs by 2023, according to the Directorate General of the Energy Department of the Ministry of Energy and Natural Resources of the Republic of Turkey. As part of this ambitious program, the nuclear power plant in the northern region of Inghaburun, which is planned to be established in the Black Sea province of Sinop, will be the most important source of energy to be built, on the Mediterranean. The two reactors are expected to cost $ 42 billion. The request for environmental impact assessment of the Sinop nuclear power station, which will be in partnership between France and Japan, has been submitted. The first stage evaluation of Turkey's second nuclear power plant project was presented to the Ministry of Environment and Urban Planning. The project will be studied by the Ministry of Environment and Urban Planning in terms of compliance with the general form of the EIA. Following the decision to comply with the project file, the Ministry of Environment and Urban Planning will establish an EIA. The views will be taken at the meeting that will be convened after the establishment of the Committee, and a special format will be prepared for the investor for the EIA report. The environmental impact assessment report will be prepared appropriately by the company. After the completion of the first phase of the period of the Ministry of Environment and Urban Planning to take a positive decision on the nuclear power plant "Sinop" after the evaluation period, will start the nuclear power project Sinop after the building permits given by the Atomic Energy Commission in Turkey. An intergovernmental agreement was signed on May 3, 2013 on the construction of a nuclear power plant in Sinop with Japan. The first unit of the Sinop nuclear power plant is expected to be completed in 2023, the second unit in 2024, the third unit in 2027 and the fourth unit in 2028. The project is one of the largest ambitious projects and is described as one of the nine largest projects in the world. The project, called "GAP" - a shortened version of the Turkish name - is the most important development project in Turkey, in the southeastern Anatolia Plateau, a poor plateau of 74,000 km2, representing 10% of the total area of ​​Turkey, traversed by the Tigris and Euphrates, and runs along the southeastern parts of Turkey with Syria and Iraq. It covers all the lands of Orfa and Mardin, as well as large sections of other provinces in the region such as Ghazi Entebbe, Wadi Maban, "Diyarbakir" and others. The project includes 13 major projects, including 7 projects within the Euphrates River Basin and 6 projects within the Tigris River, including the construction of 22 dams with 17 hydroelectric plants and irrigating 1633 million hectares of agricultural land with 20 billion cubic meters of water per year. The total production capacity of the hydroelectric plants is estimated at 7560 MW and the water storage capacity is more than 128 cubic kilometers of water, and the total cost of the project is 32 billion US dollars. Transferring southeast Anatolia to a tourist attraction and thus opening another source of revenue to increase Turkish national income. Istanbul channel, which will divide the European section of Istanbul, is defined in the strategic plans of the two sides of the channel to transform it into urban complexes planned to be built according to high standard and specifications. In addition, the project includes plans to utilize the output of the canal's 2.7 billion m3 of soil to construct three artificial islands on the ports leading to Marmara and Black Sea. The Directorate General of Roads will establish bridges and an emergency port within the canal project. It is expected that the foundation stone of the project will be laid this year, following the completion of the tender for the channel. The Ministry of Transport has developed the initial plan for the project, while the winning company will undertake the task of preparing the implementation plan. It is intended to use the soil of the Canal excavations to establish artificial islands in the Marmara Sea, fill the coal mines, and build recreation areas. The above stated lands will witness a qualitative leap in real estate investment accompanied by an insane rise in real estate prices that have not been seen in the region before. The opening of the first phase of the Third International Airport, the new metro line, will be a catalyst for the expansion of the European side of Istanbul. This will lead to an increase in demand by investors and real estate developers and the opening up of international investors' appetite for investment in the European part of the city. There is no doubt that the region will really see an increase in the value of real estate and land. The result is also the most profitable areas of real estate investment. Ankara, the heart of Turkey, the shrine of “Imraoo Al-Qais “ the –“Great ancient poet of Arabia”- capital of Turkey since October 23, 1932, and the second most populous city after Istanbul, the center of the country, where political and diplomatic activity, an important industrial and commercial center, is concentrated. After being declared the capital of Turkey, Ankara has developed rapidly. There has been a large migration of jobseekers from other Turkish cities or rural areas. The total population of the city by 2015 is about 5 million and 300,000. Ankara's economy was based on agriculture and animal husbandry in the early part of the Turkish Republic. Half of the city's land is still used for agricultural purposes, and Ankara's economic activity depends heavily on trade, industry and services.